Christopher Steele, the former British spy from MI6 and author of the infamous Russian dossier finally has been heard from. the occasion of his appearance is a list of movers and shakers that he has been appointed to. It seems that he has been put on Vanity Fair’s 2018 New Establishment List. The list probably does not mean all that much to you or to be but is apparently a big draw to the New York elite class. Anyway, in his little interview about the award, he managed to take a swipe at either the United States or at president Trump. You read and you decide. The retired British spy who authored a salacious dossier accusing the Trump campaign of colluding with Russia is taking a veiled shot at the president following 18 months of silence. 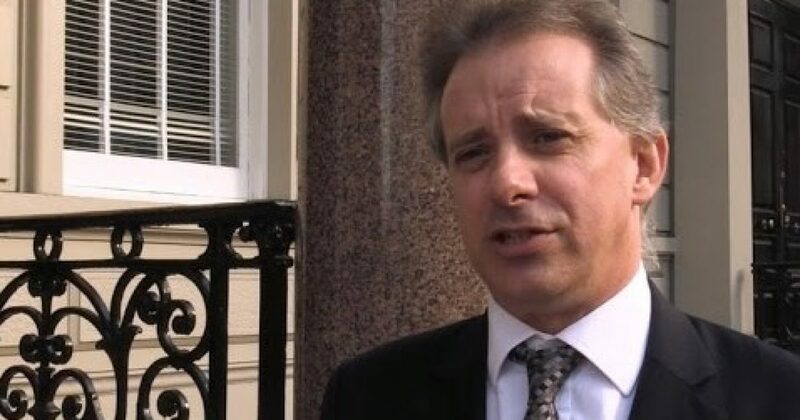 Christopher Steele has not spoken publicly since March 2017, a couple of months after the publication of his infamous dossier. But the former MI6 officer issued his first comments in response to being named to Vanity Fair’s 2018 New Establishment List. “In these strange and troubling times, it is hard to speak unpalatable truths to power, but I believe we all still have a duty to do so. I salute those on your list, and otherwise, who have had the courage to speak out over the last year, often at great personal cost,” Steele wrote in an email to Vanity Fair editor-in-chief Radhika Jones, ABC News reported. “At a time when governance is so distorted and one-sided, as I believe it currently is in the United States, the media has a key role to play in holding it accountable,” Steele continued. Special counsel Robert Mueller is the top pick on the list. Steele is ….